George W. Peavy. ca. 1935. In the early 1920s pastureland on the McDonald estate began to show signs of damage from Russian thistle, an invasive species of tumbleweed. Concerned that the surrounding properties might be affected, the California Department of Agriculture hired George W. Peavy, the Dean of Forestry at Oregon Agricultural College, as a consultant. Peavy discovered that the land had been over-grazed for years, reducing local flora and permitting tumbleweed to flourish. He recommended that grazing be reduced to allow for the recovery of natural plant species and that the thistle be destroyed whenever possible. Before long, the presence of tumbleweed on the McDonald property had been sharply reduced. Grateful for Peavy’s assistance, Mary McDonald made her first gift to Oregon Agricultural College in 1926—a parcel of land in Jackson County, California. Soon after, McDonald donated funds for two scholarships to the OAC School of Forestry as another show of gratitude for Peavy’s assistance. Though Mary McDonald strongly supported practical industry-focused education, she expressed concern that the Oregon University System had deemphasized the fine arts. In an attempt to inspire a revitalization of liberal studies at Oregon Agricultural College, she began donating valuable and finely-bound books to the school in 1932. Over the course of the next year, she contributed so many volumes to OAC that the college's librarians exhausted their available shelf space. Aware of the storage concerns, in 1933 McDonald donated funds for the construction of a campus reading room to house rare and unique volumes. The room was opened to the public on November 14, 1934, coupled with the school’s Homecoming celebration. The McDonald Rare Book Room featured Tudor and Jacobean era furnishings, walnut paneling, custom-made fixtures, and leaded windows. Its shelves contained more than $10,000 (1934 dollars) in rare books and manuscripts. After Mary McDonald’s death in 1935, Oregon State College and members of the community continued to contribute rare volumes and artifacts to the collection. Today, the most valuable items donated by Mary McDonald have been combined with other rare and unique works to form the McDonald Rare Book and Manuscript Collection, managed by the OSU Libraries Special Collections & Archives Research Center and housed in OSU's Valley Library. Oregon State University continues to honor Mary McDonald’s generosity by upholding her educational values. 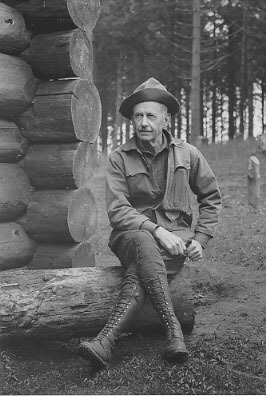 In addition to the care of the McDonald Room Collection, OSU continues arboreal research in McDonald Forest, a section of land north of Corvallis purchased through donations by Mary McDonald, and offers the Mary McDonald Fellowship through the College of Forestry. Presented by the Special Collections & Archives Research Center, Oregon State University Libraries.